Maybe it’s because it has not warmed up too fast, or we had moisture at the right times (though parts of Minnesota are technically in a drought), 2015 has been a good year for bulbs in my garden. 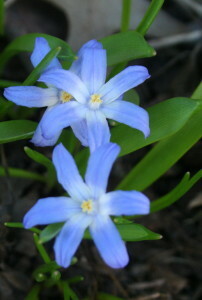 Over the past couple of years, I’ve planted more bulbs in the fall for spring bloom, including lots of crocus*, Siberian squill in the yard and garden beds, new big daffodils*, more tulips and cute, little Chiondoxa (glory of the snow). For later bloom, I have two kinds of allium as well. 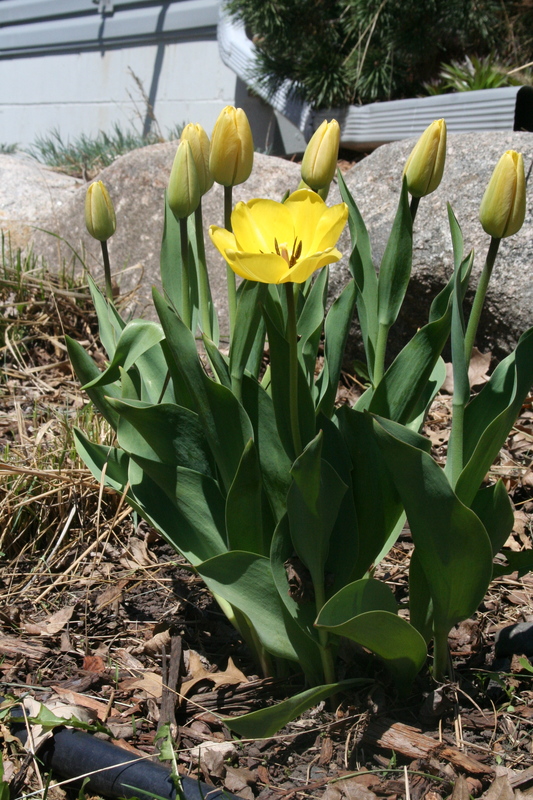 So far, the early spring bulbs are blooing except the tulips, which will be colorful until mid-May or beyond. Bulbs brighten up the early spring landscape and are a great addition to northern gardens. Since we often aren’t sure when spring will occur in Minnesota or how long it will last, bulbs guarantee a bit of color before that explosion of spring flowering trees and early perennials that occurs in May. They are easy to plant and take care of, too. In early October, I dig a big hole to place large groups of bulbs. The larger groups have more impact in the landscape and placing them in one hole is easier than digging individual holes for each bulb. I give them a little fertilizer, but otherwise just leave them alone and wait for spring. I’ve been fortunate that the many critters we have around our house have not gone after my bulbs. My neighbors have had that happen and switched to mostly daffodils, which for some reason the little monsters don’t like. 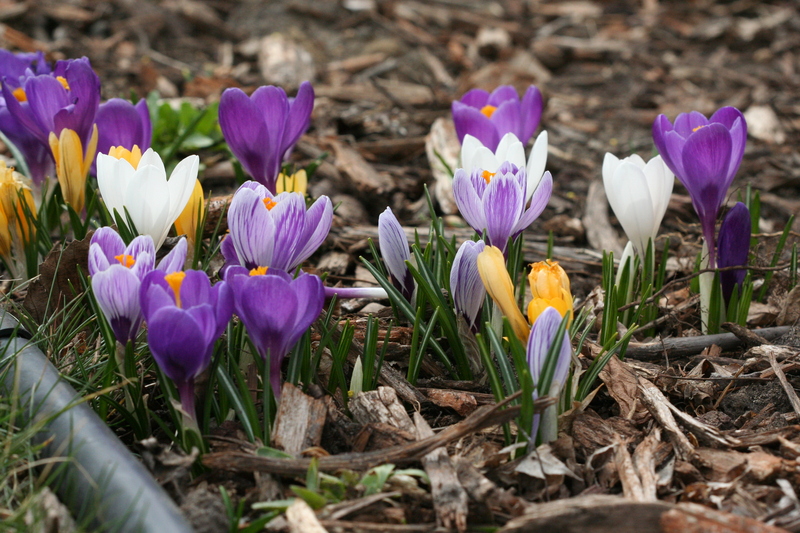 How are your bulbs looking this year? I’m pretty sure these were test plants sent to me at no charge from Longfield Gardens. (I lost the paperwork between October and now.) The bulbs are fantastic. Here in the east coast of Canada we still have snow in some of the fields. Weather has been colder than usual but this past weekend we noticed the daffodils are attempting to poke through. Lovely pictures,especially glory of the snow. Thanks for commenting, Dianne. Hope you get some spring weather soon! Lots of snow on the east coast of North America this year!